Listen as Orlando native Belvin Perry, Jr. describes the strong role models he had at Shiloh Baptist Church in this excerpt from an oral history interview with Belvin Perry, Jr. at the Orlando Public Library on April 24, 2017. You know, one of my Sunday School teachers one was Arthur Pappy Kennedy, and another was Willy James Bruton. So those were my Sunday School teachers. The superintendent of the Sunday School at one point was Paul Perkins, Sr. So you had strong role models? 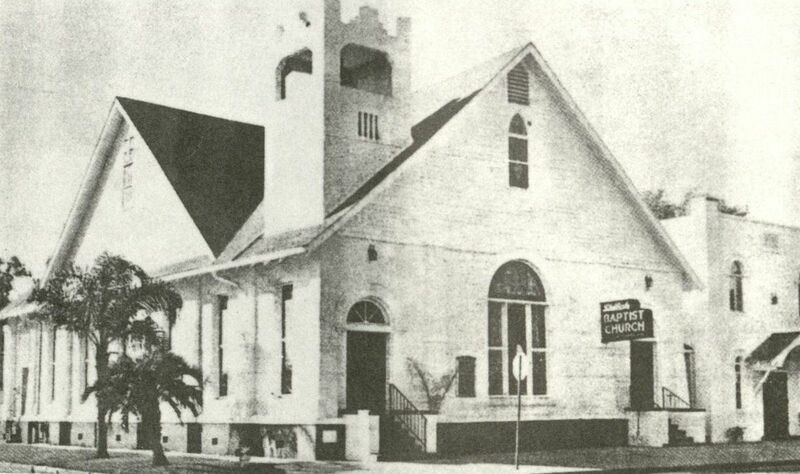 Yes, Shiloh Baptist Church at the time was one of the largest Baptist Churches in Orlando. And it had a lot of influential people there. Pappy Kennedy was the first City Council person. Katie Adams who became the first member of the Orange County School Board. Willie Bruton who owned a funeral home, but was very active in the community. Paul C. Perkins, James Collier, all of those people attended Shiloh Baptist Church. Yes and no. Yes in the sense that you knew they were leaders in the church. But until I got older in high school and then college, then I realized the impact they had in the community. One of the things I can remember about Arthur Kennedy, and we used to call him Deacon Kennedy, was the fact that he would always encourage you. In my first opportunity for so called public speaking, and you didn’t consider it public speaking, was when he would ask and he would say, ‘You’re going to summarize the Sunday School lesson before all of the classes when we go back for assembly.’ I used to like it because if you did a good job, he would give you 50 cents. And as a young kid, 50 cents was a lot of money. So I would always look forward to my opportunity to do that. But what they were trying to do was to make you feel comfortable with public speaking; make you feel comfortable about looking at a lesson, learning the high points of the lesson, and being able to summarize those things to other people. At the time you didn’t realize it, but as time went on you begin to understand it and you begin to see it. Isn’t that exactly what attorneys do as far as oratory and understanding the facts of a case and presenting those? You’re absolutely right. But being able to communicate is a skill whether you’re an attorney or whatever you decide to be in life. You have to be able to communicate things to people. And that’s what they did…. Judge Belvin Perry, Jr. first joined the 9th Circuit Court in 1989. He served as Chief Judge of the 9th Circuit Court from 1995 to 1999 and 2001 to 2014. He retired from the bench on August 13, 2014 after serving as judge for nearly 25 years including serving as Osceola County Administrative Judge and nine terms as Chief Judge of the Ninth Judicial Circuit. Shiloh Baptist Church, 604 West Jackson Street. Oral history interview with Belvin Perry, Jr. at the Orlando Public Library on April 24, 2017.